"I absolutely adore white dinnerware. I love the look and the feel of it. It makes any home-cooked meal look like it was made at a five star restaurant". While most people believe white dishes are boring I find then extremely appealing. Many chefs prefer white plates because white goes with anything, makes the food “pop” visually and allows for a more diverse meal presentation. Unfortunately, I couldn't find a dresser I like, however, just before I was about to leave these mugs caught my eye. 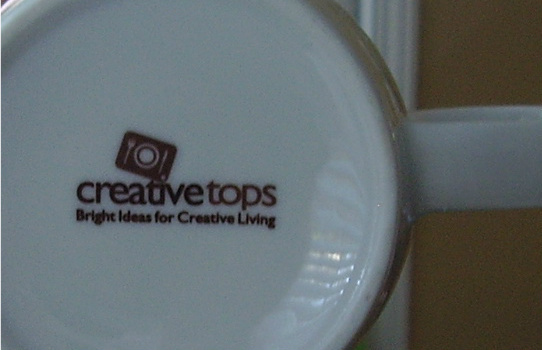 They are from Creative Tops , one of the UK's leading suppliers and manufacturers of quality design-led tableware and giftware. Creative Tops is the proud custodian for some of the UK’s foremost heritage brands including the Victoria and Albert Museum and The Royal Botanical Gardens, Kew. Apparently, these mugs are from a previous collection since I can't seem to be able to trace them online. 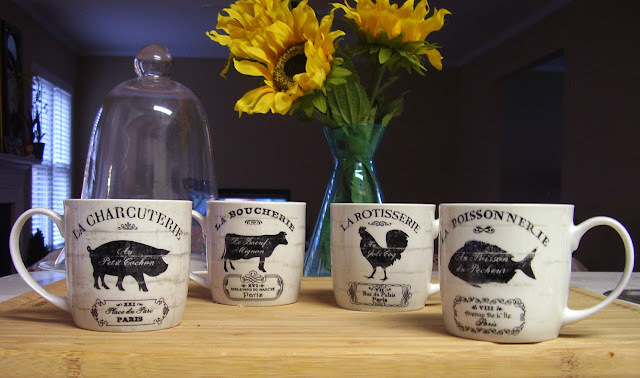 I love the farmhouse feel of the mugs. They blend perfectly with my existing collection of dinnerware. I can't wait until my next brunch and use them. I think I need to buy a farmhouse to complete the look. Ha! So what do you think? Did a score or not? Are the mugs a yayy or nayy? Let us know by posting in the comments section below.